What is Love & Grace? 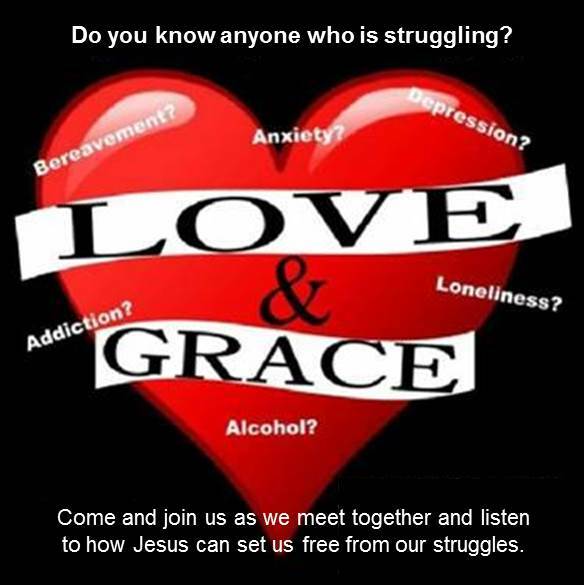 We are a Jesus centred group to care, laugh, discuss, pray and journey with those struggling from addiction. We are so thankful for the groups that care for addicts in the UK. So why Love and Grace? Simply put we believe that Jesus alone can truly set a human free from sin - manifesting itself in addiction in so many lives - wasting such God given potential. We are a group of people from Open Door Church in Sunbury who are not there to judge but to walk with, help, feed, guide, pray with and disciple all those who want to know freedom from addiction in whatever form in Jesus name. "If the Son sets you free, you will be free indeed" (John 8:36).